How an ordinary guy from Scharendijke became world famous in 24 hours. And almost ended up in court. 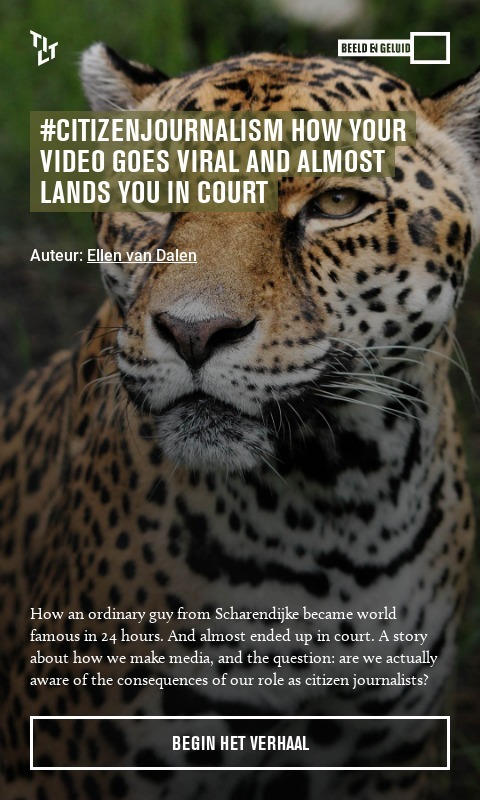 A story about how we make media, and the question: are we actually aware of the consequences of our role as citizen journalists? Your email is used once to send you the link to the story. You email is not stored anywhere. reads the invitation on the Beekse Bergen website. 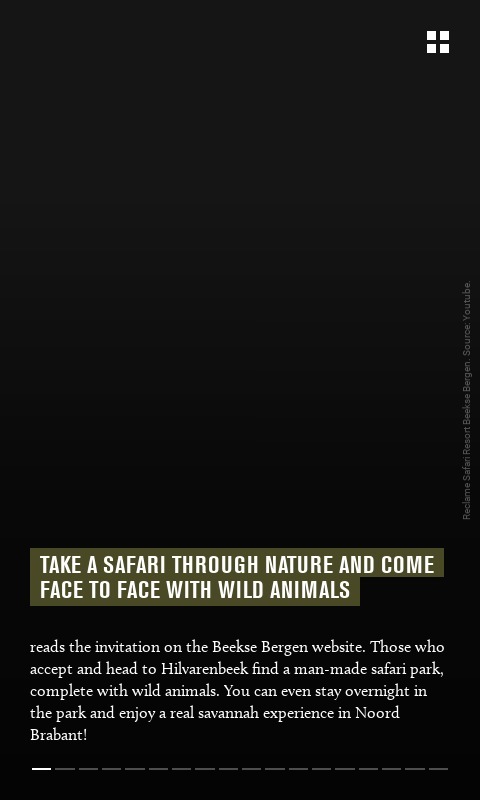 Those who accept and head to Hilvarenbeek find a man-made safari park, complete with wild animals. You can even stay overnight in the park and enjoy a real savannah experience in Noord Brabant! 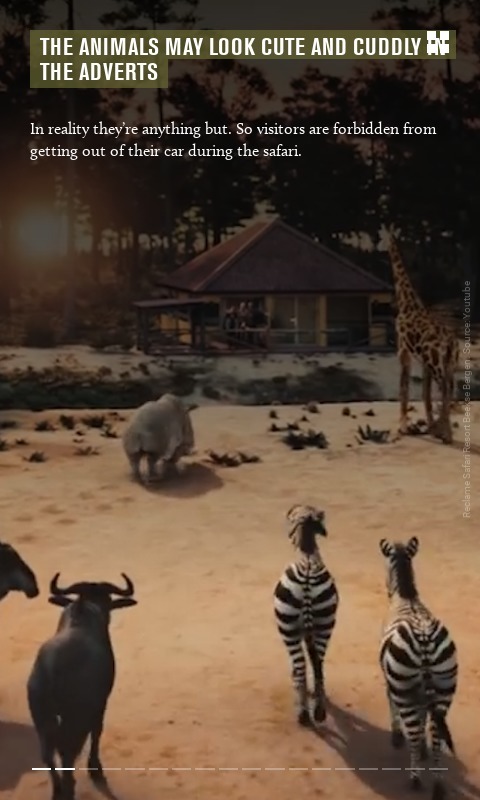 Reclame Safari Resort Beekse Bergen. Source: Youtube. In reality they’re anything but. So visitors are forbidden from getting out of their car during the safari. 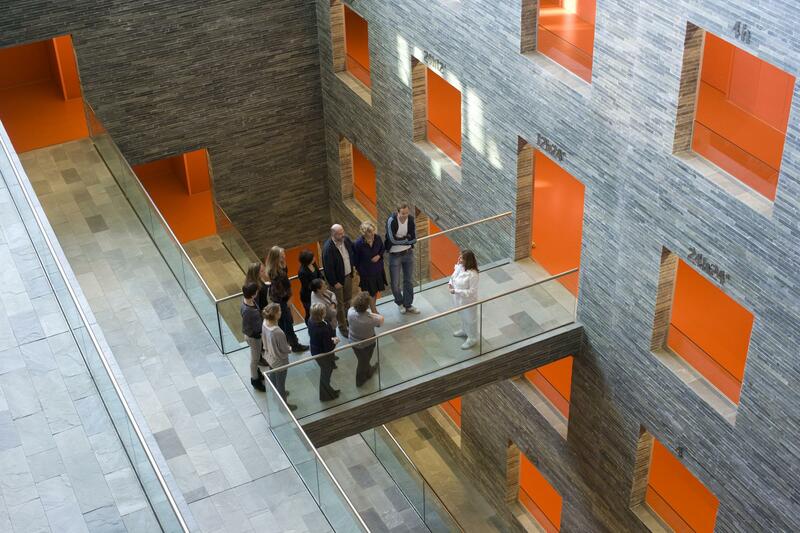 Robin de Graaf was therefore amazed to see people doing just that during his visit. To look at cheetahs, no less, a predator that can run up to 100 km an hour. 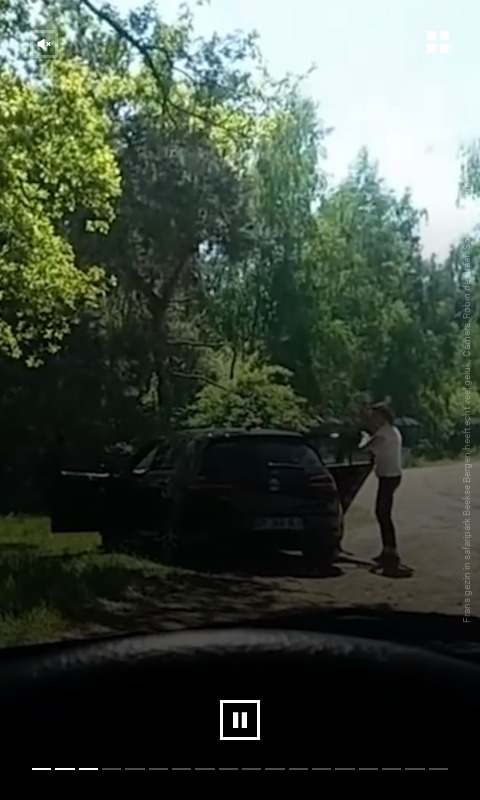 An astonished Robin keeps filming, also when the family has to run for their lives. Thankfully it ends well. 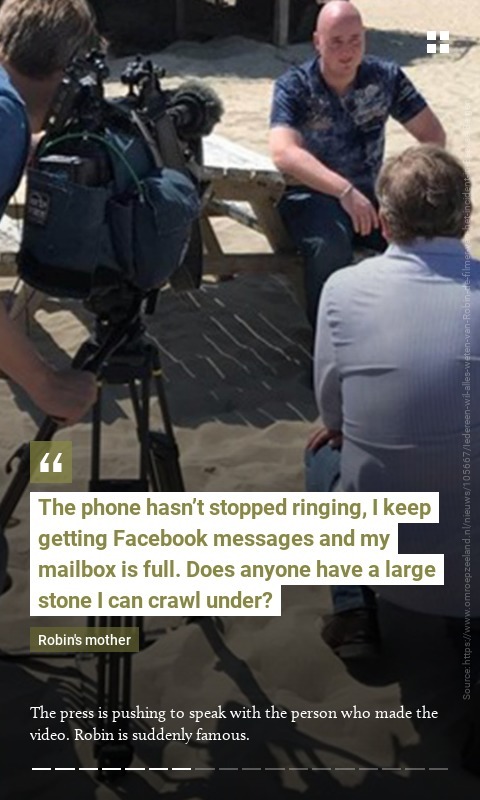 Once he recovers from the shock, Robin puts his eyewitness account on social media. The video soon goes viral. Two days later the video is also picked up by traditional media. Het Journaal (NOS), Pauw (BNNVARA), Nieuwsuur (NTR) en CNN bespreken het incident op 11-05-2018. Sources: Youtube & Collectie Beeld en Geluid. The phone hasn’t stopped ringing, I keep getting Facebook messages and my mailbox is full. Does anyone have a large stone I can crawl under? The press is pushing to speak with the person who made the video. Robin is suddenly famous. Has Robin become a citizen journalist now? 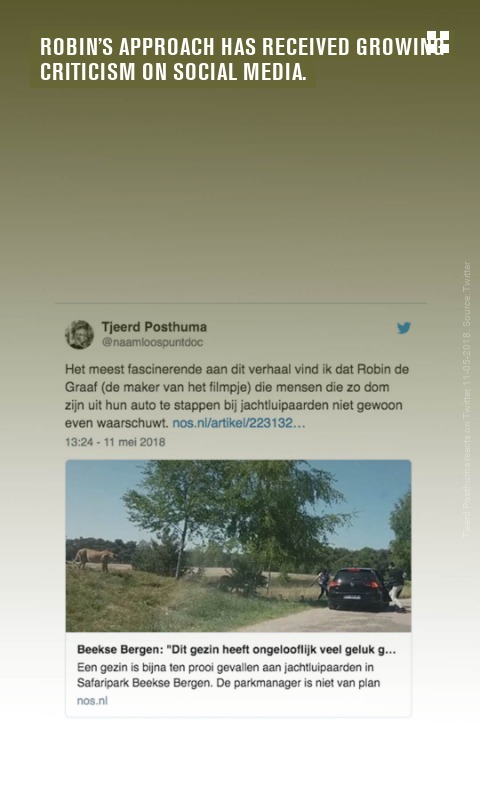 Robin interviewed on Omroep Zeeland, 11-05-2018. Source: Omroep Zeeland. is a term that is used for news that is collected, written and published outside established media channels, by people who are not professional journalists. 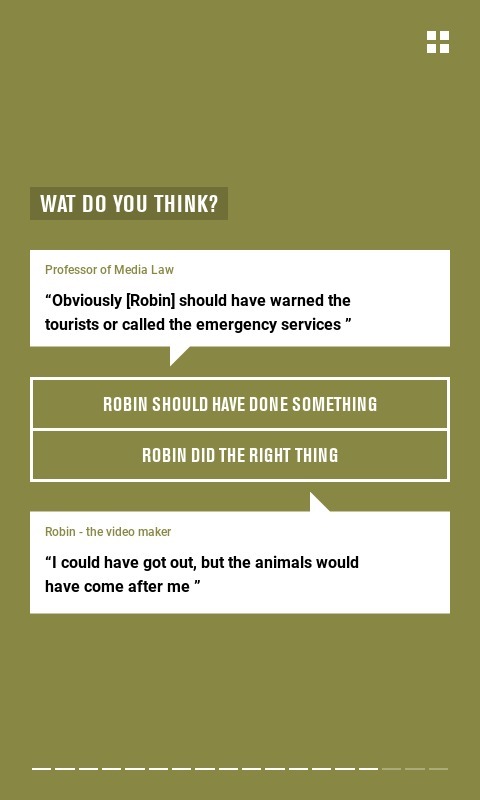 These days, everyone can make videos and put them online, like Robin did. He presented the news, the traditional journalists the interpretation. 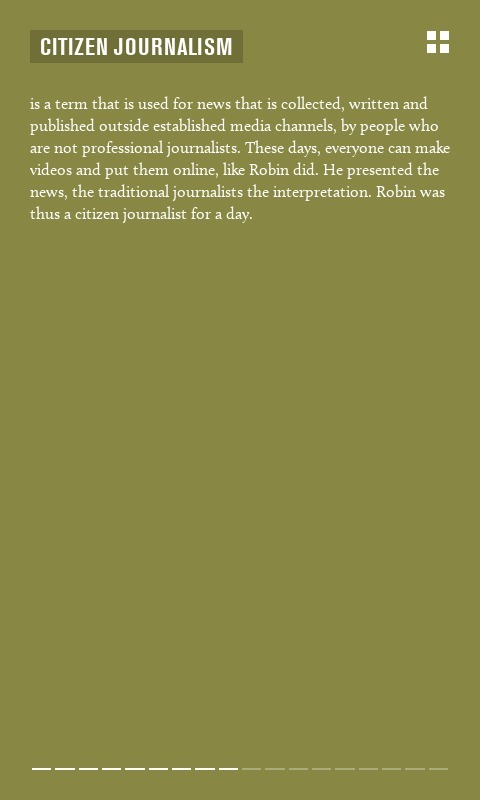 Robin was thus a citizen journalist for a day. Robin’s approach has received growing criticism on social media. Criticism has been received from another perspective as well. 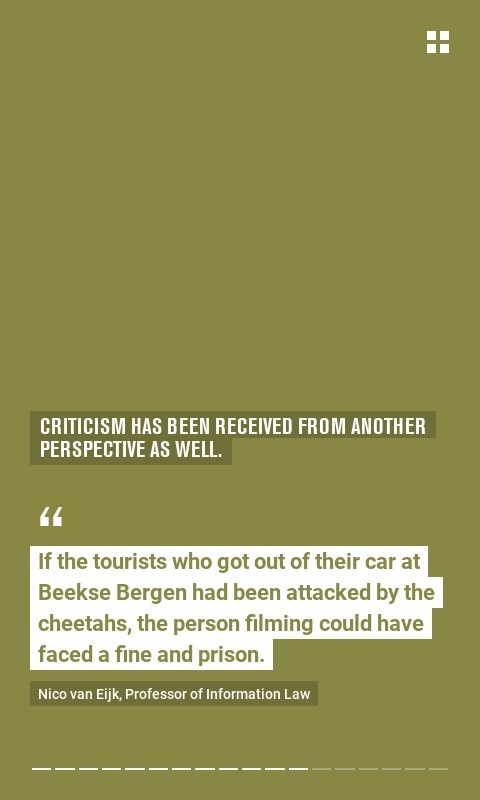 If the tourists who got out of their car at Beekse Bergen had been attacked by the cheetahs, the person filming could have faced a fine and prison. 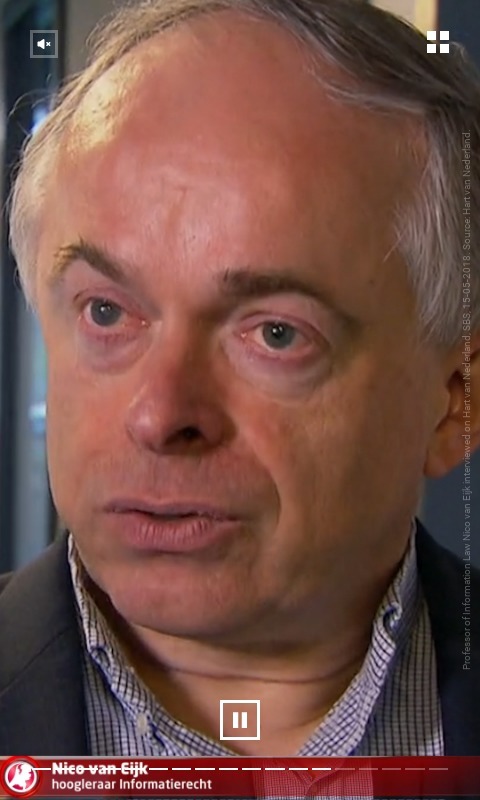 Professor of Information Law Nico van Eijk interviewed on Hart van Nederland, SBS, 15-05-2018. Source: Hart van Nederland. He thinks Robin is blameless. The lawyer can imagine that the boys didn't know what to do. Plus the fact that they simply couldn’t do very much without putting themselves in danger. 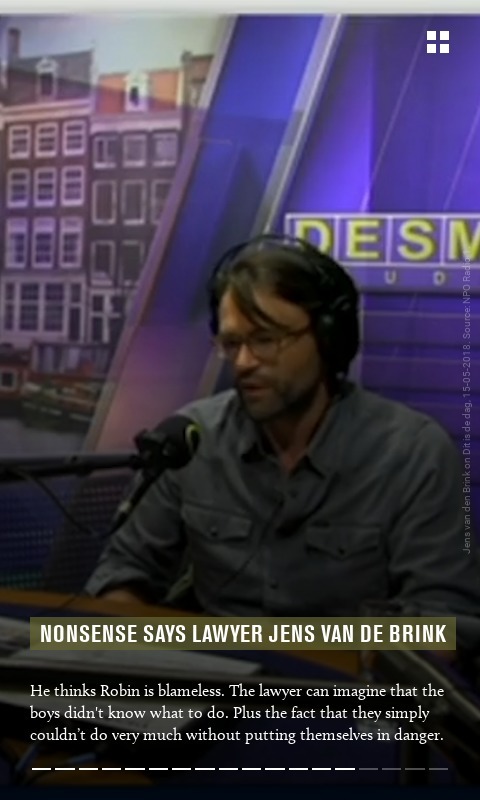 Jens van den Brink on Dit is de dag, 15-05-2018. Source: NPO Radio 1. But say they are happy so many people have watched the images. 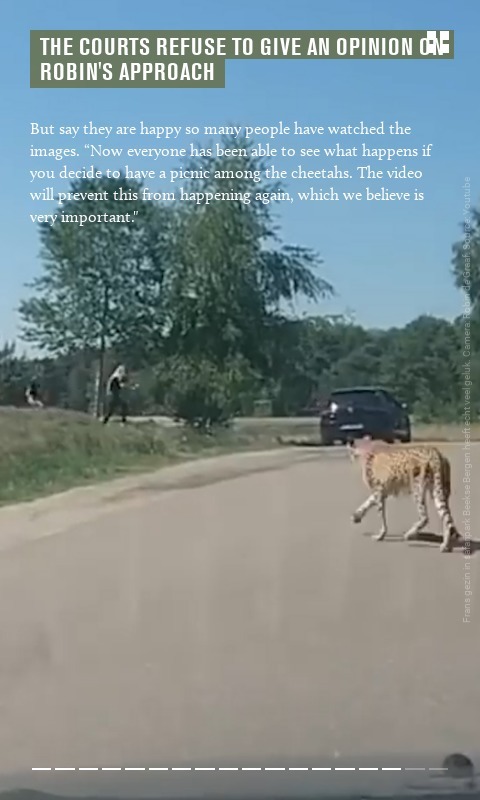 “Now everyone has been able to see what happens if you decide to have a picnic among the cheetahs. The video will prevent this from happening again, which we believe is very important." Less than a month later no one is talking about the French family at Beekse Bergen anymore. The media circus moves on. Peace descends on Scharendijke again. And Robin? 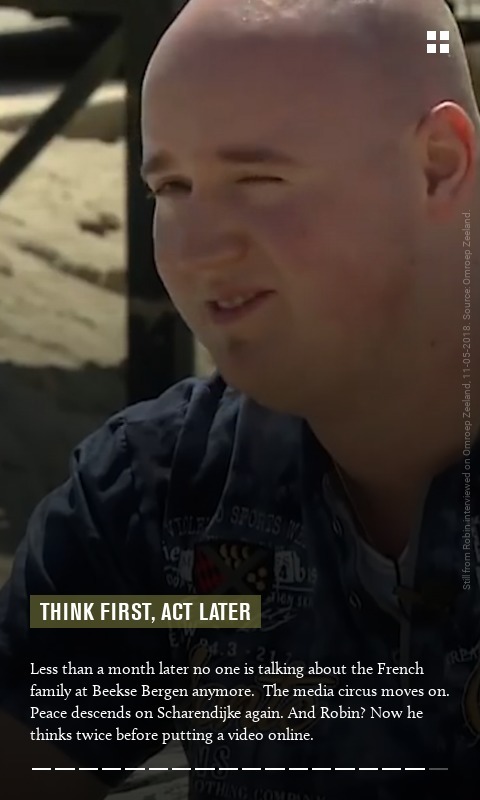 Now he thinks twice before putting a video online. 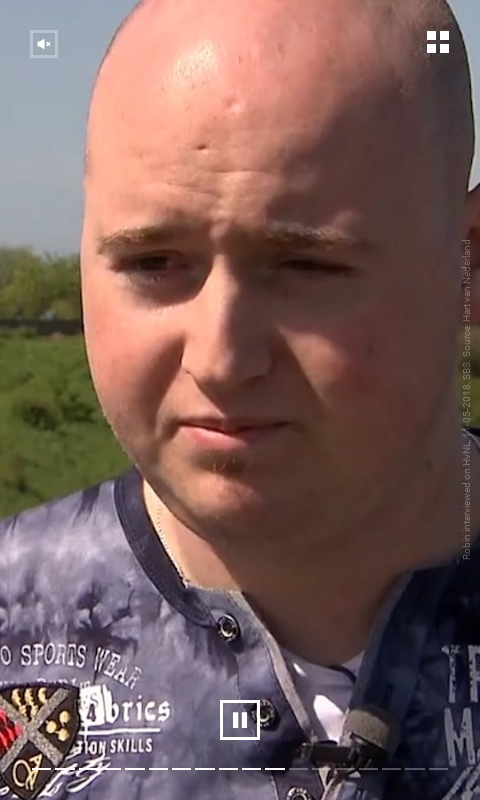 Still from Robin interviewed on Omroep Zeeland, 11-05-2018. Source: Omroep Zeeland. 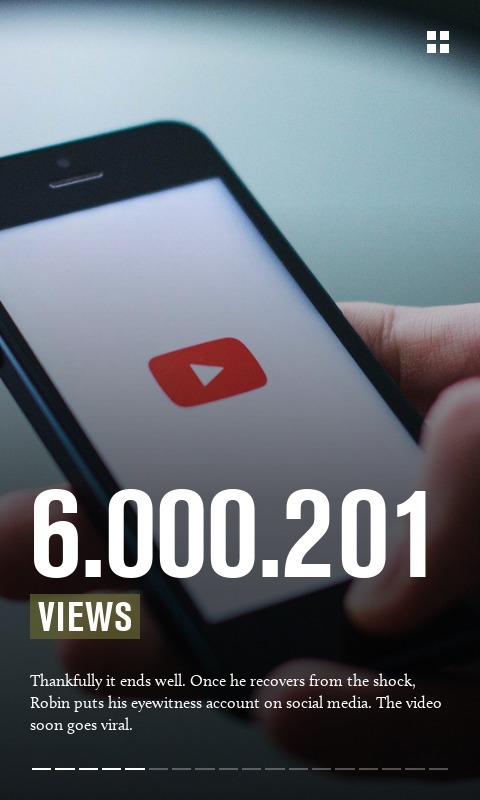 Did you know that the video made it to the top 3 most-viewed Dutch YouTube videos of 2018? 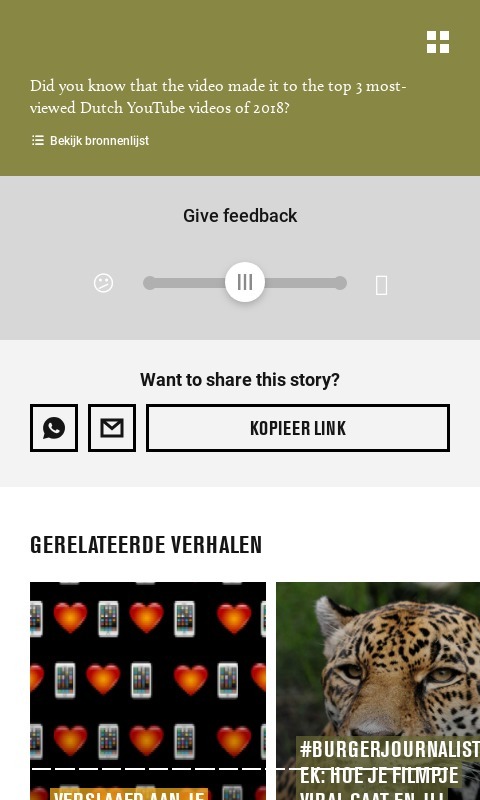 Verslaafd aan je smartphone? Geen zorgen! Studiopubliek: waarom zitten ze er nog? 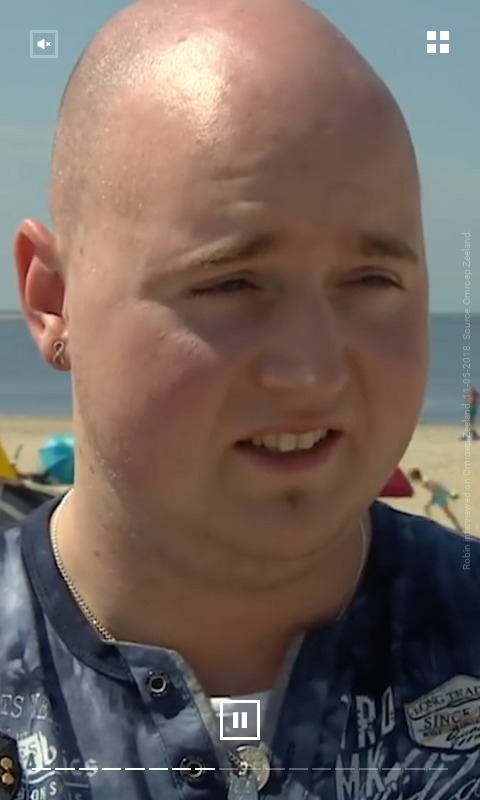 NA HET ZIEN VAN DEZE 5 SIMPELE TRUCS ZAL JOUW SURFGEDRAG NOOIT MEER HETZELFDE ZIJN! Hoe lang zijn jouw tenen? Ga op ontdekkingstocht en geniet van al het moois dat Beeld en Geluid te bieden heeft: spectaculaire architectuur, een blik achter deuren die normaal voor publiek gesloten blijven en een indruk van de enorme omvang van onze mediahistorische collectie. Why didn't he do something?